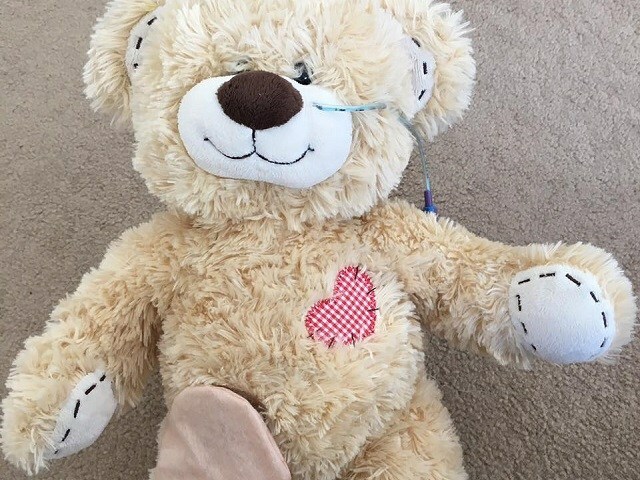 Plush teddy bears with tubes, drips, plasters and catheters, to help sick children (and their families) face the disease and accept the care they are subjected to. It is the idea launched and created by Fiona Allan, 28, from Glasgow, suffering from a serious genetic disease and forced to live with a surgical catheter and a nasal tube. The Teddy Bear “sick” are about twenty and use real medical accessories. The reputation came thanks to a service of the BBC broadcaster, who interviewed the mother of a young patient: “The teddy bear helped my daughter adapt to the medical devices she must use. It distracts her as we slip or take the real ones from her and it is easy to explain to the other children why she needs all her valves to live “.